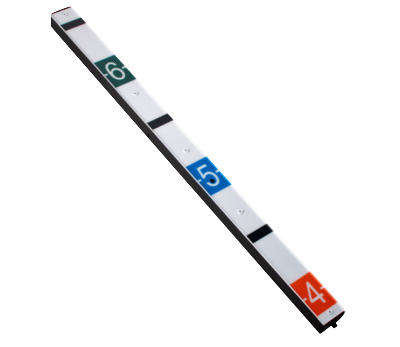 Ideal for a multitude of security applications. 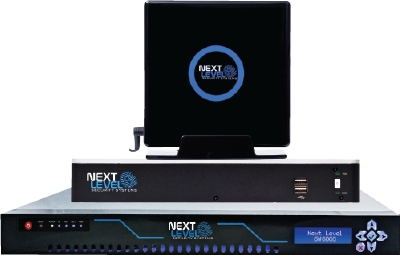 The award-winning Next Level Gateway is a unified solution that combines multiple subsystems including video management, access control, analytics and more into a single, easy-to-use networked platform. 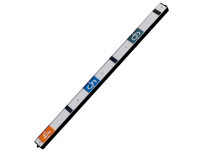 Its features are completely accessible and controllable from anywhere through a web-enabled device. Complete package for professional installation. Perfect for Small Businesses. 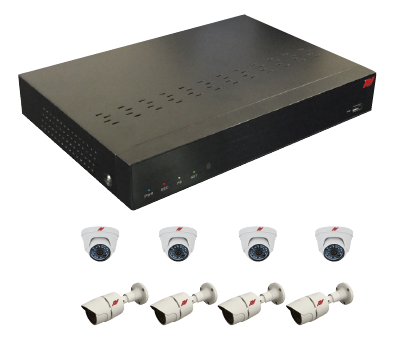 2MP cameras - Integrated PoE Network Video Recorder - The NVRs work with all ATV IP cameras, provide integrated PoE for simple installation and include the profession license-free ATVision IP VMS. Remote viewing is also possible using your mobile device. Perfectly priced and backed by ATV’s exceptional warranty and return policy. Unlike cameras that can be obstructed by caps and hoodies, our latest camera combines low height, concealed lens and sharp resolution to capture facial features like never before. Look into the new Covert IP 2MP Height Strip camera - and see what you’ve been missing. IP Cameras. Value - Focused. Higher resolution and higher video quality with easy license-free remote access. With ATV’s full selection of MEGA-PIXEL resolution IP bullet and dome cameras, you get more features for the money, including H.264 compression, dual-streaming, on-board edge storage and free ATVision IP VMS software. Coppell, TX – January 23, 2018 – Advanced Technology Video (ATV), a leading provider of innovative integrated security solutions, announces the release of a new specialty IP camera - IPHS243, a covert Height Strip for discreet, specialty applications, adding unique value to the growing ATV IP Series portfolio. Coppell, TX – December 13, 2017 – Advanced Technology Video (ATV), a leading provider of innovative integrated security solutions, announces the release of three new 2MP HD Analog, varifocal lens camera models in bullet, turret or vandal dome housings, adding unique value to the growing HD Analog Solutions Series portfolio. Coppell, TX – October 27, 2017 – Advanced Technology Video (ATV), a leading provider of innovative integrated security solutions, announces the release of a new 2MP HD Analog camera - HDHS243, a covert Height Strip for discreet, specialty applications, adding unique value to the growing HD Analog Solutions Series portfolio. Coppell, TX – October 4, 2017 – ATV-Next Level Security Systems (ATV-NLSS), a leading provider of innovative integrated security solutions, introduces a new IP PTZ Speed Dome camera, IPSDV20X2, loaded with features which add intelligence and value to the growing ATV IP Series camera portfolio.